GAOTek Digital RF Millivoltmeter & Frequency Counter | Logic Analyzers | GAOTek Inc.
GAOTek Digital RF Millivoltmeter and Frequency Counter is a new type of micro- controller digital intelligent instruments. 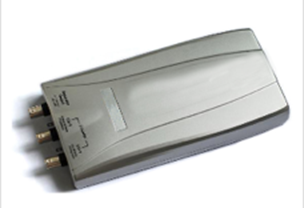 It can measure the sinusoidal signal voltage from 9 kHz ~ 3000 MHz . The instrument uses a QVGA color LCD display with clear reading and has long life. The machine has a good frequency response, small standing wave co-efficient, high sensitivity, low power consumption, small size and is light weight. 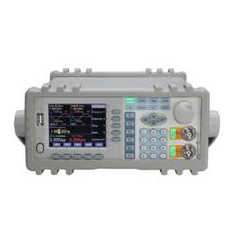 With RS-232 interface and optional GPIB interface and USB interface, can be remote measurement control. But also and computer and other equipment composed of automated test system, is the workshop production and the laboratory UHF voltage measurement of the necessary equipment. First, carefully check the mains voltage to ensure that it meets the operation voltage range of this instrument before plugging the power cord into the power socket on the rear panel. 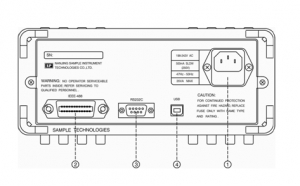 Carefully check the power supply of the test system to ensure good grounding. The cabinet of the instrument and all the exposed metal should be well grounded. No potential difference exists between all the instruments linked. In voltage measurement, push the aero-socket of the voltage input channel into the aero-connector of the voltage measurement device. When turning on the instrument, break the input signal at the coaxial detector to ensure normal initialization of the instrument. Press the power switch on the front panel and the instrument begins initialization. The model number of the instrument will be displayed after VFD screen and LED lamps are lighted. After initialization, the LED lamps of voltage input channel and auto-ranging will be on. 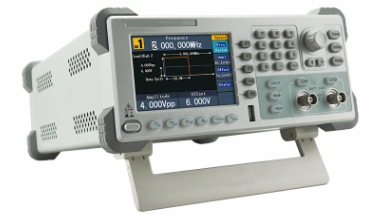 The voltage of the signal applied to voltage input channel is to be measured. If the signal to be measured is the signal in voltage input channel, the “voltage channel indication lamp” will be lighted. Otherwise, press【VOLT】key to select the voltage input channel signal as the signal to be measured; and the “voltage channel indication lamp” will be on. 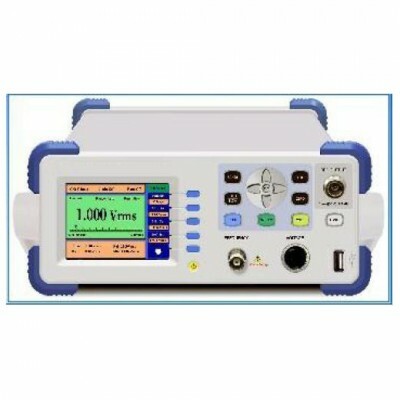 Zeroing for the instrument is necessary before measurement begins, so as to ensure the accuracy in the measurement made for voltage below 20mVrms. When zeroing, the signal at the input terminal of the detector must be removed. Press 【SHIFT】key before 【MIN】key; and “ZEROING” will be displayed on the screen. When zeroing is finished, the voltage value after zeroing will be displayed. Zeroing is impossible if there is signal at the input terminal of the detector. This signal must be removed. Note: In measurement of small signal below 4 mVrms, it’s better to do it in a shielded room so as to ensure measurement accuracy for small signal. Either automatic range or manual range can be selected in voltage input channel. The range of the instrument can be determined by the position of the decimal point and unit of the RMS display form. Usually automatic ranging is used in for accurate measurement. When manual ranging is used, if the input voltage is higher than the upper limit of the selected range, more error will be resulted in the measured data. Press (AUTO) key to enter into an automatic ranging mode; and the auto-ranging indication lamp will be lighted. In auto-ranging, the instrument will automatically change the range according to the current voltage value. If the current voltage value is bigger than the upper limit of the current range, it will be increased to above range. If the current voltage value is smaller than the lower limit of the current range, it will decrease to the next range. Press【▲】and【▼】keys to enter into manual ranging mode. The auto ranging indication lamp will be off. Press 【▲】key to decrease the current range for one step. Press【▼】key to increase current range for one step. In manual ranging, the range can be set as required. If the input voltage is higher than the upper limit of the current selected range of 275 %, input overload“OVLD” will be displayed; but the decimal point and unit will not change. For example, the current selected range is 400 mVrms range. If the input voltage is higher than 1100.0mVrms, overload symbol “OVLD mVrms” will be displayed; the decimal point and unit keep identical with 400mVrms range. When the overload is displayed, one range should be increased so as not to damage the instrument. Resolution and measurement speed can be raised in manual ranging. But if the input voltage is higher than the upper limit of the current range, more error will be resulted. Note：Manual ranging is not available in power measurement. another is mVrms and Vrms. Press【dBm/V】key to switch the unit displayed. If the present displayed unit is dB or dBm, by pressing 【dBm/V】key, the displayed unit will be changed to mVrms or Vrms; if the present unit displayed is mVrms or Vrms, it will be changed to dB or dBm by pressing again 【dBm/V】key. Press【FAST】key, to select “fast” measurement; while press 【SLOW】key to select “slow” measurement. Measurement rate includes “fast” and “slow”. The measured rate of “slow” is 2 times per second, displaying 4 effective digits. The measured rate of “fast” is 20 times per second, displaying 3 effective digits; the last digit displayed “o” remains unchanged. This instrument can calculate “max. value”, “min. value” and “relative value”. Three indication lamps “MAX”, “MIN” and “REL” are used to indicate which calculation function is enabled at that time. If the three lamps are all off, the calculation function is shut off and the instrument is in basic measurement function. The present displayed voltage value is the real measured value. When the three indication lamps “MAX”, “MIN” and “REL” are all off, the instrument is in the basic measurement mode. The displayed value at that time is the real measured value. If the instrument is neither in maximum value nor in minimum value function, and keys (MAX) or (MIN) is pressed, respectively to enter into maximum or minimum value calculation function, it begins to calculate the maximum and minimum values of the measured voltage. This time is called start time of maximum and minimum values. That is, the calculation of maximum and minimum values starts simultaneously. After calculation of maximum and minimum values of measured voltage begins, press 【MAX】key in minimum value function, you may view the maximum value of measured voltage beginning from start time; press 【MIN】key in the maximum value function, you may view the minimum value of measured voltage beginning from start time. This will not change the start time for re-setting the maximum and minimum values. If you want to reset, i.e., re-calculate the start time of maximum and minimum values, you must first quit maximum and minimum values function then re-enter maximum or minimum value function. When the instrument is in maximum value function, press【MAX】 key to quit maximum value function and enter into basic measurement function. The maximum value indication lamp will be off and the real measured voltage will be displayed on the screen. When the instrument is in maximum value function, press【MIN】 key to quit minimum value function and enter into basic measurement function. The minimum value indication lamp will be off and the real measured voltage will be displayed on the screen. 1.2.6.3.2 If the instrument is in relative function at present, press【REL】 key to enter into basic measurement function, and the relative value indication lamp is off. Relative values are divided into rms relative value and dB relative value, which are converted by 【dBm/V】key. The RMS relative value function is also called NULL function. dB relative value function is also called dB function. RMS reference value is also called OFFSET value of NULL function. dBm reference value is also called REFERENCE value of dB function.